What do athletes and computer desk jockeys have in common? Both will almost certainly experience wrist injury at some point during their careers. Wrist injuries can happen suddenly (acute injury) or over time from repetitive motion like typing. 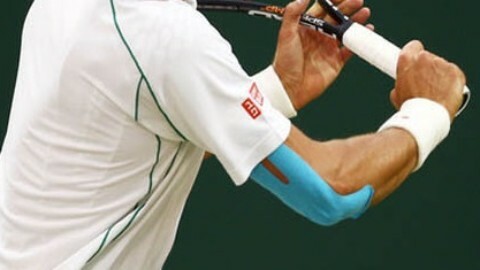 Using TT TARGET TAPE® can speed up healing and even help prevent wrist injury. How does it work? The tape gently lifts skin to keep pressure off pain receptors and provides more space for bloodflow that boosts the healing process. At the same time, it supports muscles in the area that help prevent further injury. It’s water-resistant and will remain in place for three to five days. And it’s breathable and hypoallergenic, so it’s less likely to irritate skin. 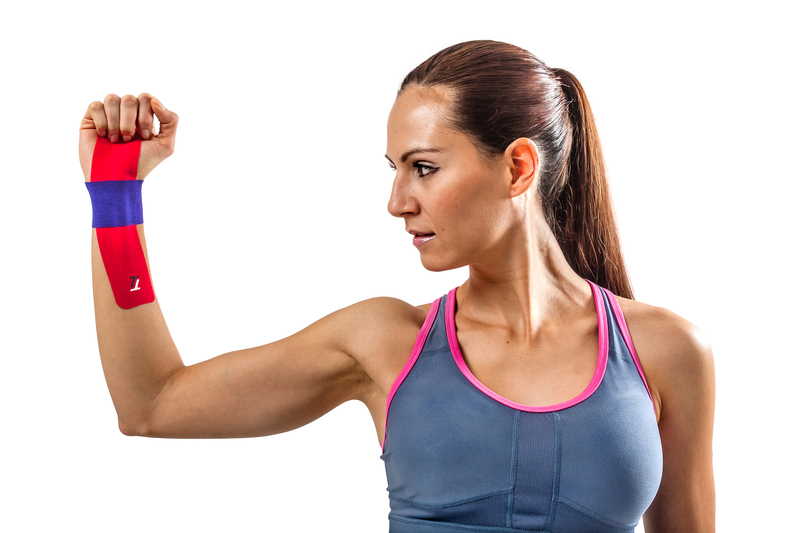 Applying TT TARGET TAPE to wrists and elbows can prevent these workplace injuries and help heal them more quickly. Dude, That Was Some Punishment Your Wrist Took! You’re most likely to hear this among snowboarders, a sport that shares a high number of wrist injuries with in-line and ice skaters. Beginning snowboarders and in-line skaters, though, feel it in the wrist because falling forward is part of the learning curve. Snowboarders control their boards by shifting their weight around, and like most people who fall forward, put out their arms to break the fall. Guess what part of the hand takes the brunt of the injury? The wrist, of course. People who treat snowboarding wrist injuries call this FOOSH, for Fall On Outstretched Hand. It’s the most common injury among snowboarders, according to the website ski-injury.com, which also says there’s a 25% likelihood that the wrist will be fractured. A fifth type of fracture, a greenstick fracture, is more common among children. It’s when a bone bends and cracks, but doesn’t break because children’s bones are softer and more flexible than adult bones. Yours truly suffered a greenstick wrist fracture at age 7 after bouncing off a sofa and landing on my wrist. These injuries can be avoided by learning how to fall properly, which means sparing your hands and wrists. Skaters and skiers are both taught to try to fall on their sides. Skaters can bend their knees to steady themselves and go into a squatting position if they believe a fall is about to happen. Skiers have to be very careful since they’re holding poles. They should tuck and roll, or try to fall backwards if the snow is soft. Try to fall uphill.